During the First World War, the battles fought at sea were every bit as dangerous as those fought on land. Vast navies opposed each other across the great oceans of the world, equipped with the most up to date technology that industrialised nations could produce. The human cost was staggering, not only on those who served, but also those families left at home. and Captain Harold Ackroyd, VC, MC, MD, RAMC (killed at the Battle of Passchendaele, 1917) serving in different theatres of the 14-18 conflict. 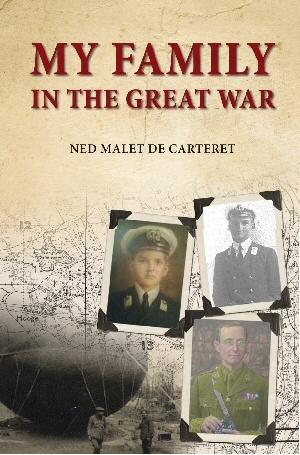 Written by a direct descendant, the story of the war at sea and on land is vividly brought to life through personal letters and historical fact. Meticulously researched, with detailed illustrations and photographs throughout, My Family In The Great War provides an intimate portrait of total war, painted on a different canvas to the significant hell of the Western Front, yet every bit as lethal. Ned Malet de Carteret was born in 1961 in Jersey. He was educated at St. Michael's Preparatory School and Canford School in Dorset. The majority of his career has been in financial services, specialising in stockbroking and Investment Management. Ned is a tireless promoter of his island and family history and currently serves as Vice-Chairman of the Rates Assessment Committee for the Parish of St Helier. "My Family in the Great War" is published by the Reveille Press and is available now from its various outlets, priced at £15.99 (RRP). 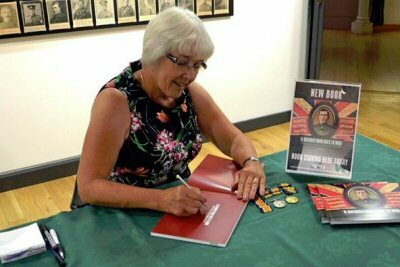 Liz Walton's first book "A Guernseyman Goes to War"
It tells the story of Private Latimer Le Poidevin, son of a Guernsey grower, who was conscripted into the Royal Guernsey Light Infantry and served with them from its formation to its return to the island. The story is told in his own words - according to the family he wrote his "memoirs" of the war in a notebook when he came home in 1919, put it away and never referred to it again. A transcription of the notebook forms the core of the book. The author has then placed the events he described in the wider context of the war using evidence from sources such as Battalion War Diaries, Movement Orders and Casualty lists as well as more general war histories. Guernsey Museum Service has provided photographs from its collection to illustrate the text, many of which are not on public display. There are also specially drawn maps illustrating where the RGLI were based, how they travelled and exactly where they fought. When Britain declared war on Germany on 4 August 1914, by constitutional association the small British Channel Island of Jersey also entered the conflict. By November 1918, when the guns finally fell silent, the Island had sent thousands of its men to serve in forces of Britain and France. Along with millions of others, they endured the horrors of this first conflict of the modern industrial age. By its end, more than a thousand of them had died, fighting on land, sea and in the air. Yet the First World War affected the lives of more than just Jerseys soldiers, sailors and airmen. Changes in society and technology in the years leading up to 1914 meant that Islanders were no longer isolated from the outside world. This war would directly challenge them as never before. 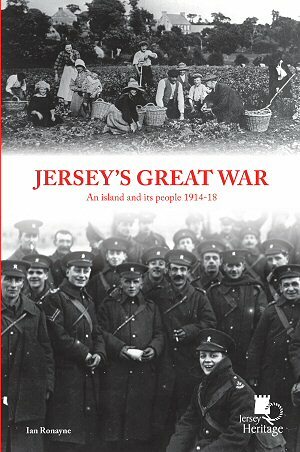 Jerseys Great War tells the important but previously forgotten story of Jersey and its people between 1914 and 1918. Readers will learn about the role of the Militia, the Islands French soldiers, how German POWs came to be in the Island, the fate of enemy aliens, the opportunities for women and the impact of the war on day-to-day lives. And at the heart of the story is the four year struggle between patriotism and production, the outcome of which affected the lives of thousands of Island men and their families to this day. 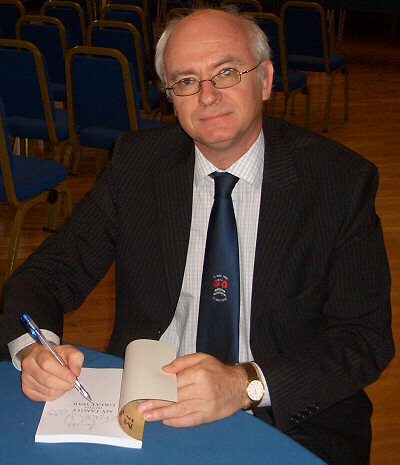 Ian Ronayne is a Jersey born historian and author who specialises in military history. In recent years, Ians interest has turned to his home island, and its rich historical legacy arising from centuries of conflict and defence. 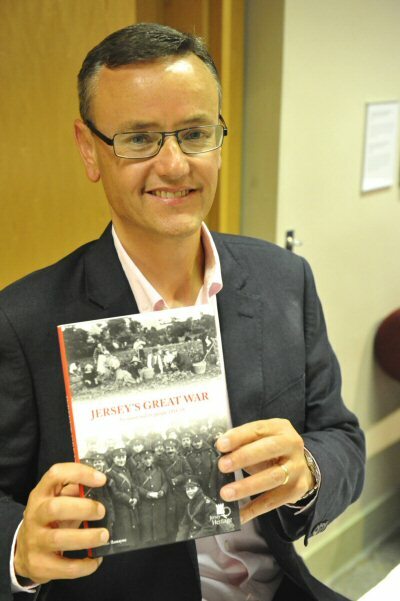 His first book, the acclaimed Ours: The Jersey Pals in the First World War was published in 2009. It was followed in 2012 by Jersey War Walks and A Gunners Great War, along with numerous articles, talks and guided tours. Ian lives in Jersey with his family, and continues a career of historical research, writing and teaching along with other professional interests. 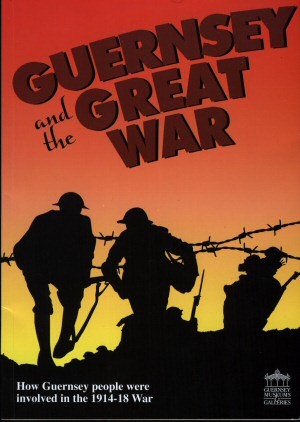 Published in November 2007, "Guernsey and the Great War" is a 48 page book covering all aspects of the island's involvement in the war. Written by David Mosely, edited by Lynne Ashton, with much information supplied by the Channel Islands Great War Study Group. Published by Guernsey Culture & Leisure Department with support from The Rothchild Group in Guernsey. Beautifully designed and printed and a first rate read. The Guernseymen Who Marched Away 1914-1918"